Last April, I donned a warm jacket, hopped on a plane and jetted off in search of adventure in the Yukon. It was an impromptu jaunt to visit a friend, but quickly turned into one of my most memorable excursions. Though I’ve lived in Canada my entire life, the northern territories were a mystery to me, and the Yukon tourism industry was a blank slate. 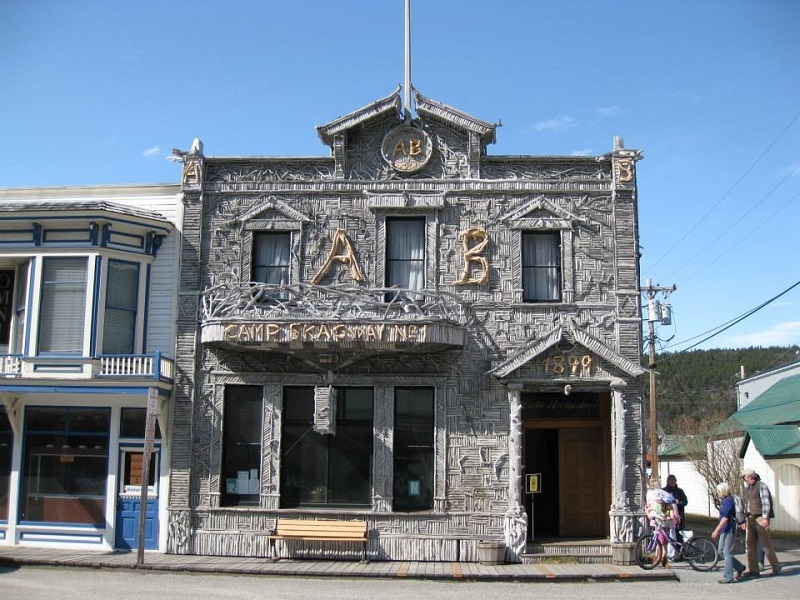 What exactly is there to do in the land of the midnight sun? As it turns out, the Yukon offers abundant opportunities for both relaxation and adventure, all framed by the ruggedly beautiful terrain of Canada’s North. 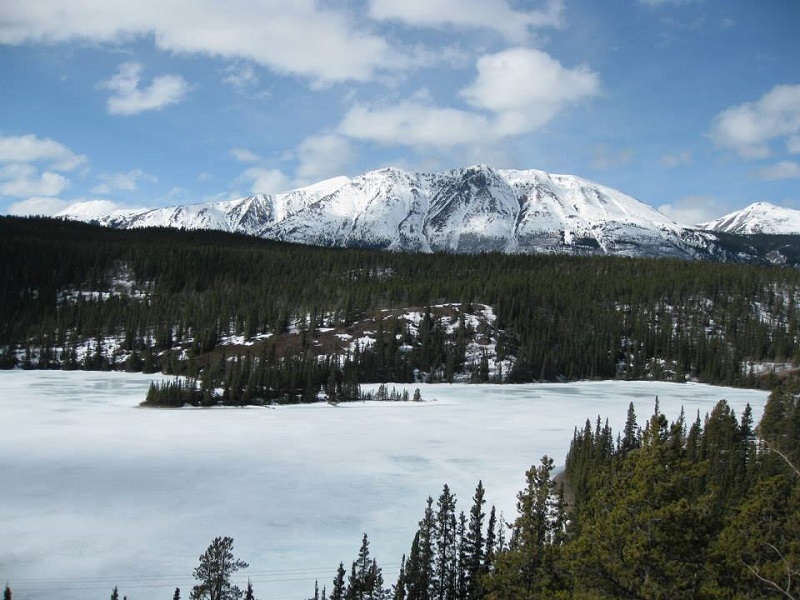 Though the Yukon might seem worlds away, it’s practically in British Columbia’s backyard. Surprisingly, my fabulous Yukon experience began on the flight there. Air North, the Yukon’s airline, is so friendly and hospitable, that it’s almost a throwback to the days when air travel was the ultimate luxury. The plane was a little bit older, but during the two and a half hour flight, everyone was treated to locally roasted coffee, snacks, a hot meal, and a slice of cheesecake for dessert. I arrived in Whitehorse on time, full, happy and raring to explore. Though Whitehorse was my home base during my stay, I couldn’t resist the urge to explore more of the Yukon. 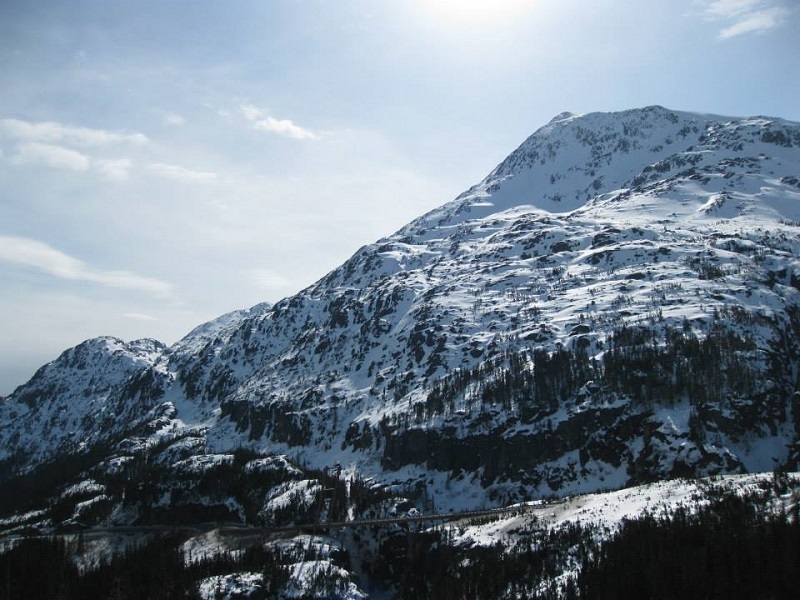 On the second day, my friend and I embarked on a road trip to Skagway, Alaska, which is only a three-hour drive from Whitehorse. We wound our way past partially frozen lakes, stunning snow-covered peaks and enthusiastic snowmobilers carving trails in the hillside. 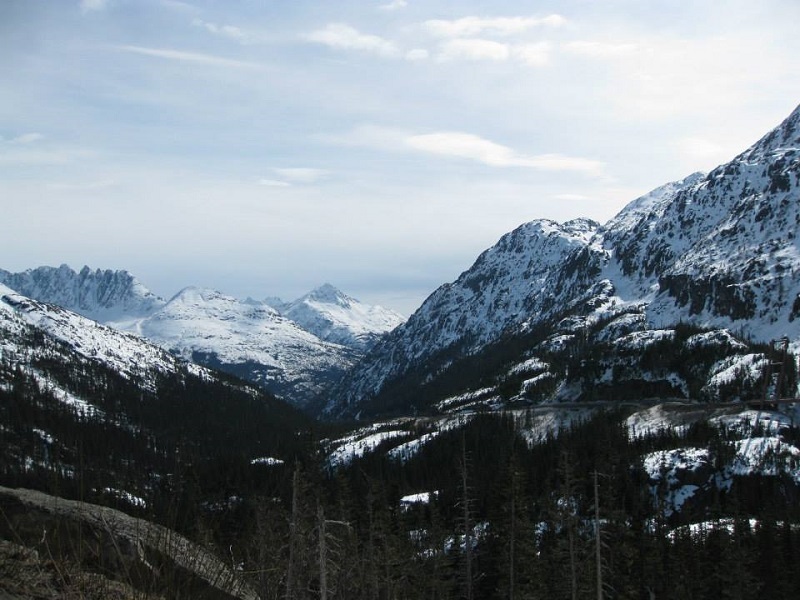 If you plan on snowmobiling, make sure you have travel insurance for snowmobiling. After passing through the US border crossing in the northern corner of British Columbia, we arrived in Alaska. Tourism in Skagway doesn’t really pick up until the cruise ship season starts, but we enjoyed a free local art show and surprisingly good Thai curry before hitting the road back to Whitehorse. If you plan on renting a car to road trip through the Yukon, have a read through these 5 car rental tips. The day after our road trip, we set off for the Takhini Hot Springs to relax our stiff muscles. 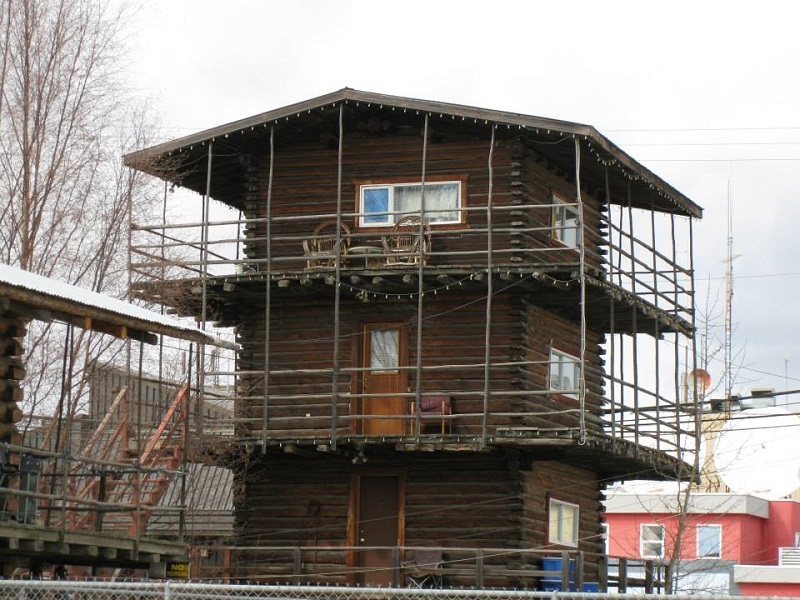 This is one of the Yukon’s most popular tourist attractions, and has been in operation for over 100 years. As we soaked in the mineral-rich outdoor pools, we enjoyed the sights and sounds of the nearby forest. 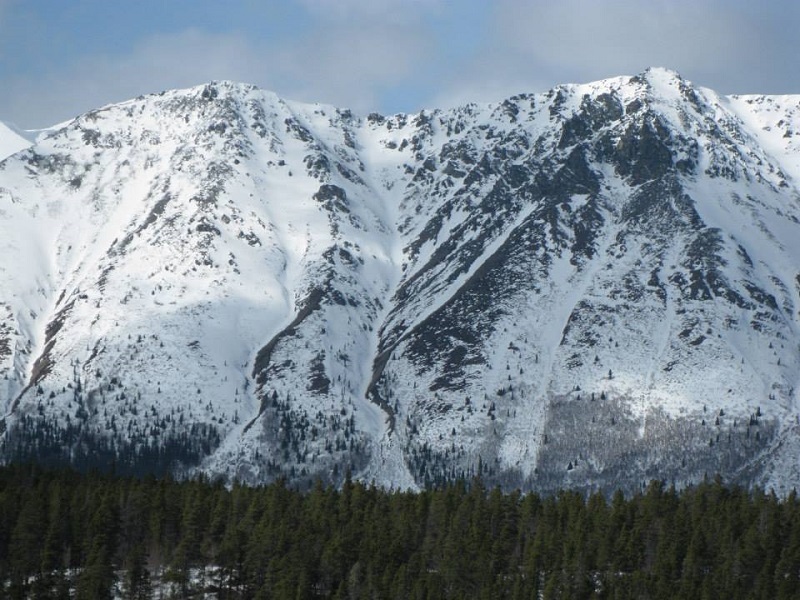 Takhini also offers camping, hiking and cycling in the summer, as well as snowshoeing and cross country skiing in the winter, in case you want to really earn that soak in the hot pools. I’ve found that a great way to experience a destination is to amble through it, talk to the locals and soak up the atmosphere. In Whitehorse, the weather may have been chilly, but the people definitely were not. Within five minutes of meeting my first local, we were chatting away like old friends. I also got to see a quirky side of the city when I visited the multi-level log cabins, affectionately known as “log skyscrapers.” Other things to do in Whitehorse include kayaking, visiting one of the awesome restaurants for a meal and live music or taking in one of the many interesting historical sites like the SS Klondike, a retired sternwheeler from the 1920s! On the flight back to Vancouver, a chatty lady from Whitehorse asked me how I enjoyed my first visit to the Yukon. After I described my adventure, she smiled knowingly and said, “You’ll be back.” And you know what? I think she’s right.